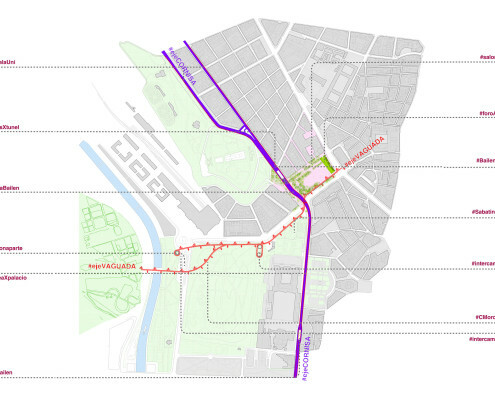 Triathlon disciplines cross the center of Madrid connecting green spaces of the west part of the city. 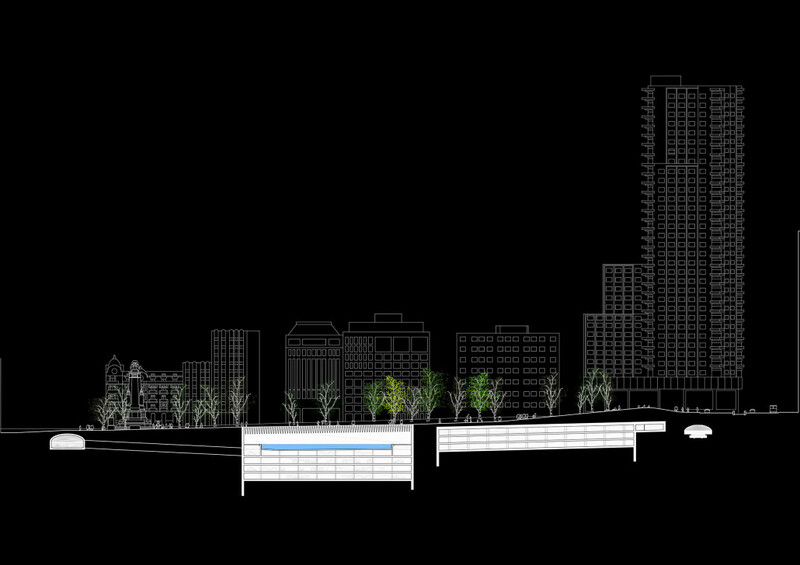 Run and ride through the lanes of the new bike path that will connect the parks of the new cornice axis. For cyclists and pedestrians the new dell axis requires more effort due to the 50-meter drop in just one kilometer. 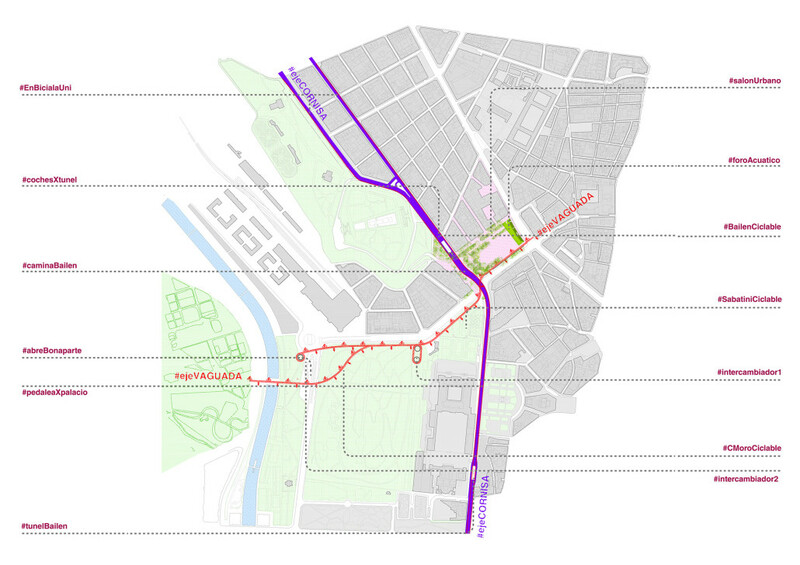 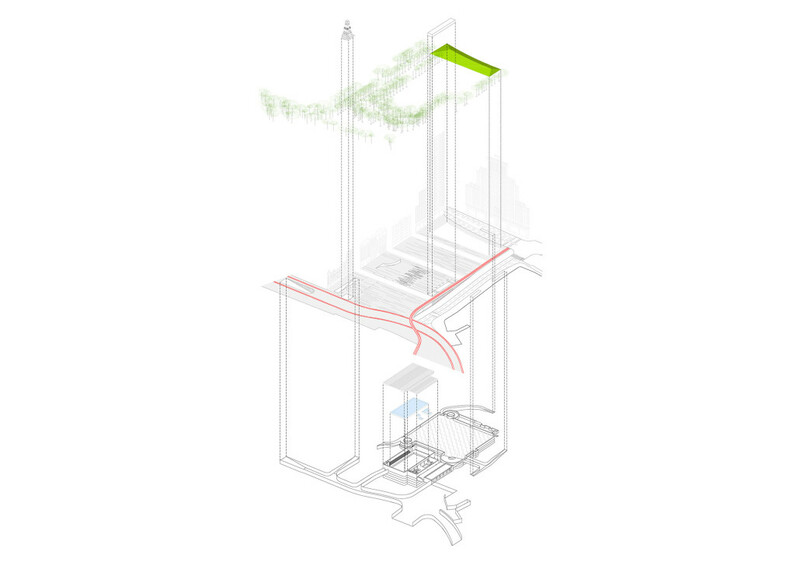 To reduce the traffic, two exchangers are proposed to save the difference of height by means of a spiral ramp and an elevator, the first one connecting Sabatini and Campo del Moro, and the second one connecting San Vicente Circus with Del Rey Bridge and Casa de Campo. Both axes, cornice and talweg, intersect in Plaza de España where it’s the extension of the pedestrianized Bailén. 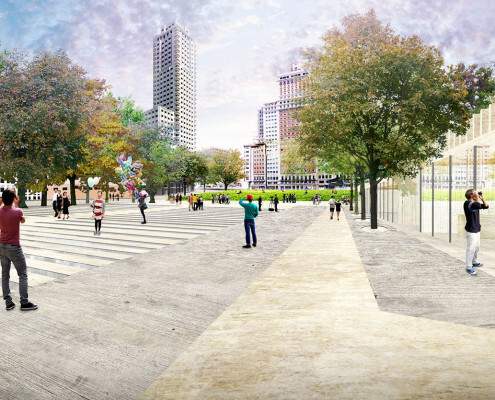 But Plaza de España needs to clear its central space eliminating architectural barriers, parterres and useless sources, to form a large Urban Hall. 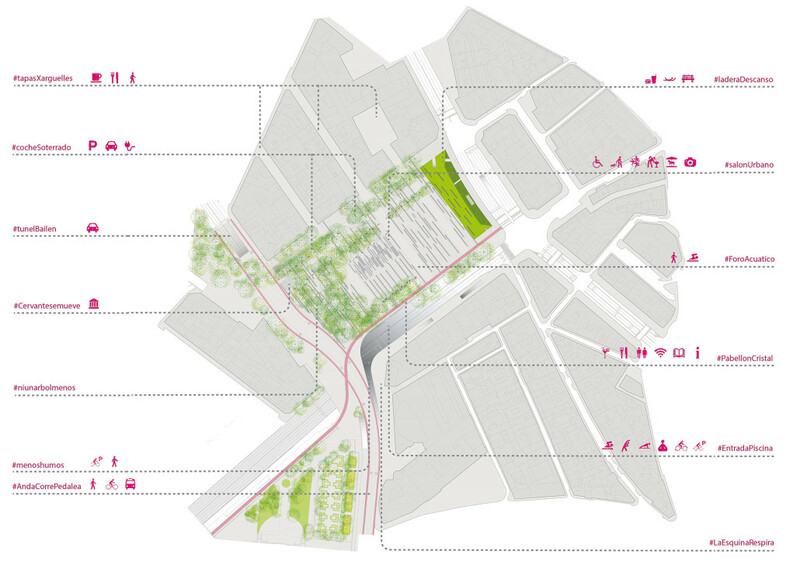 For this purpose, the large trees of the perimeter are maintained, the medium and small ones are transplanted to their extension in Bailén Street, and Cervantes monument is moved. 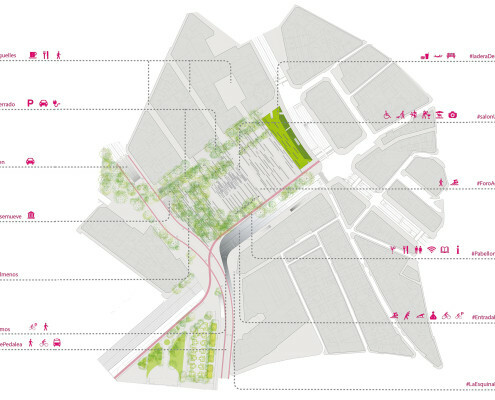 Around this space circulation in San Vicente Street is reduced, the north side is restricted by pedestrianizing its streets to Ventura Rodríguez Street, and noise pollution is damped, creating a vegetative hillside parallel to Gran Vía Street. 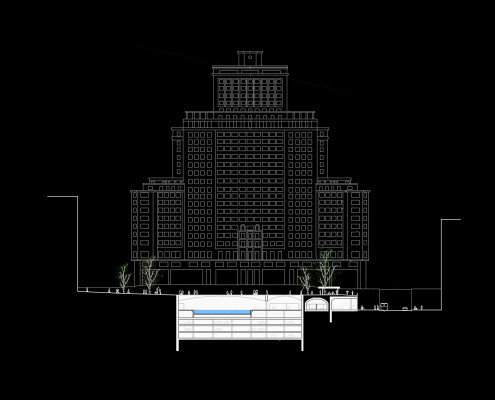 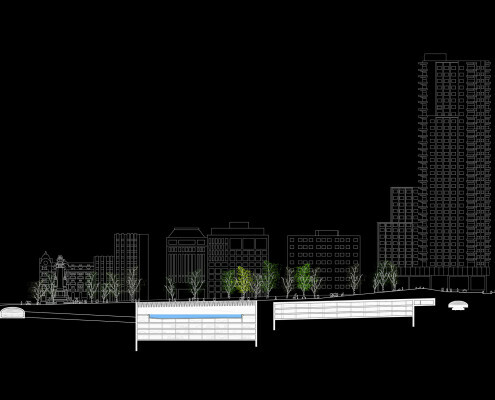 Under the square, there is an authentic invisible city composed of metro stations and tunnels, galleries and parking lots. 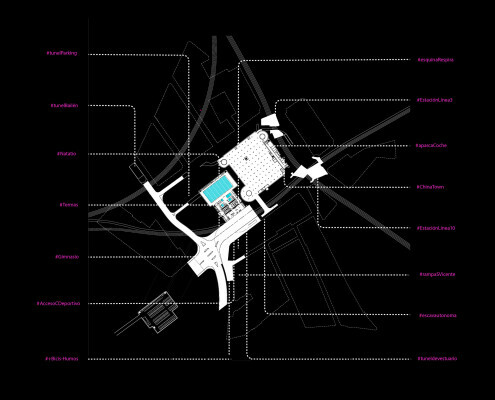 The Olympic pool construction under the central space of the square is proposed, as well as the first parking for electric cars in Spain. 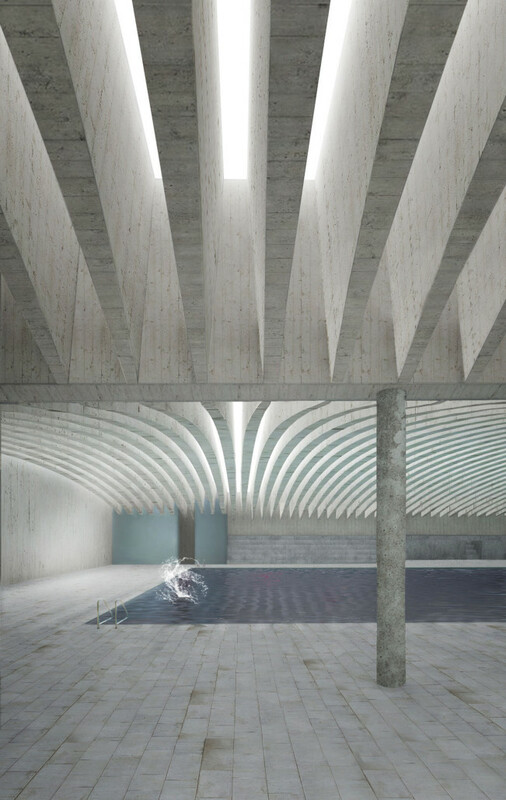 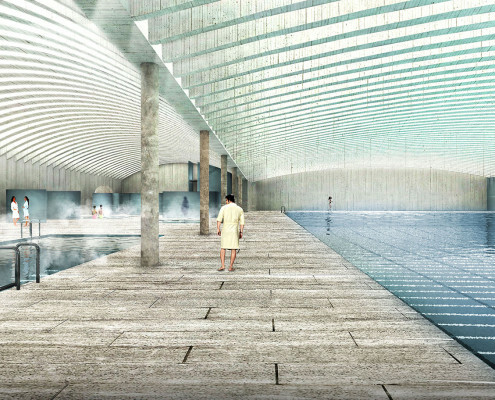 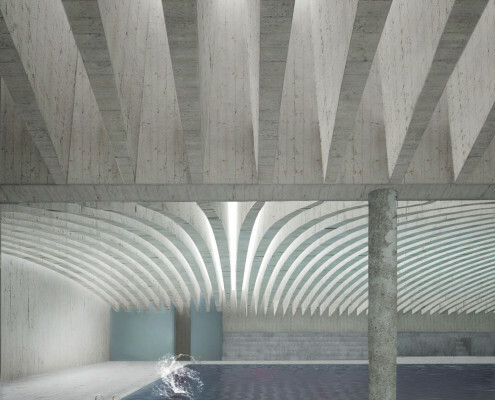 The structural section of this aquatic forum allows bathing the main rooms with natural light thanks to an arched beams latticework and skylights that visually communicate both forums. 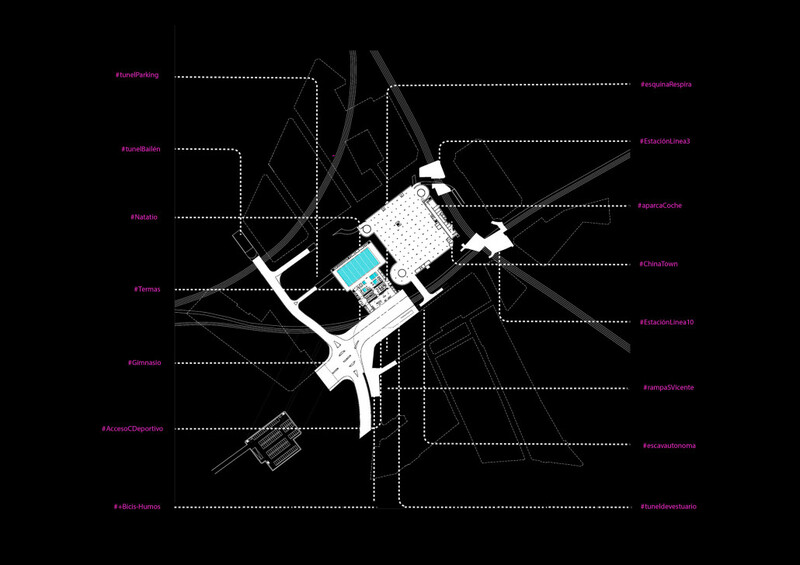 The Olympic pool is completed with other hot and cold water pools, saunas, changing rooms, and a gym with a large window towards San Vicente street, where is located the access to the center thanks to the existing unevenness with the platform of the square.